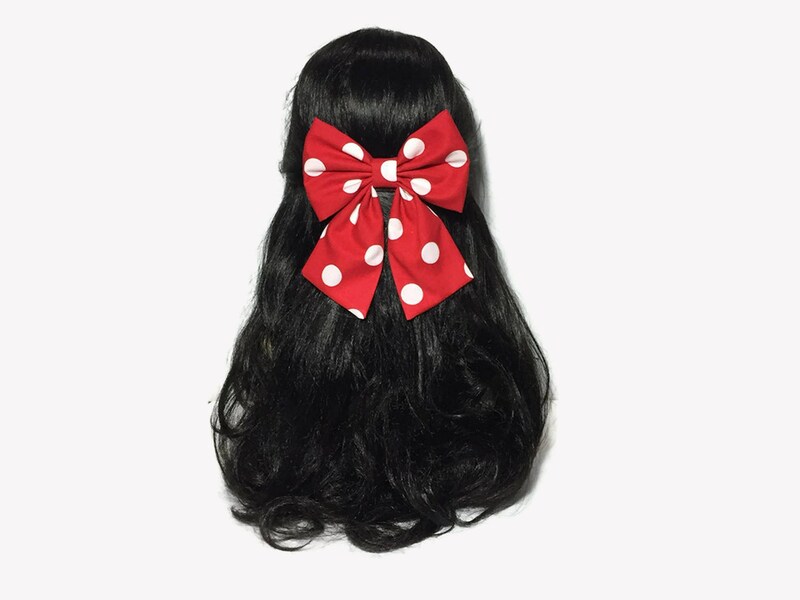 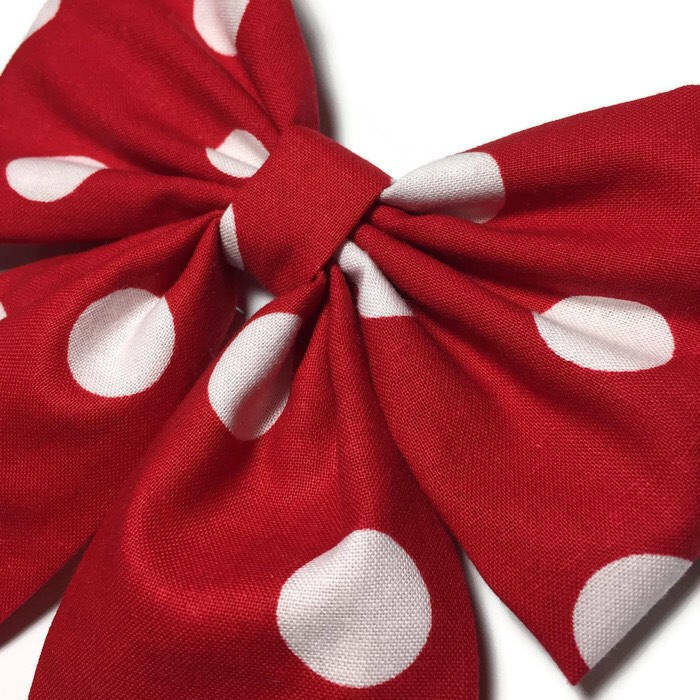 This hair bow is handmade on deep red polka dot cotton fabric. 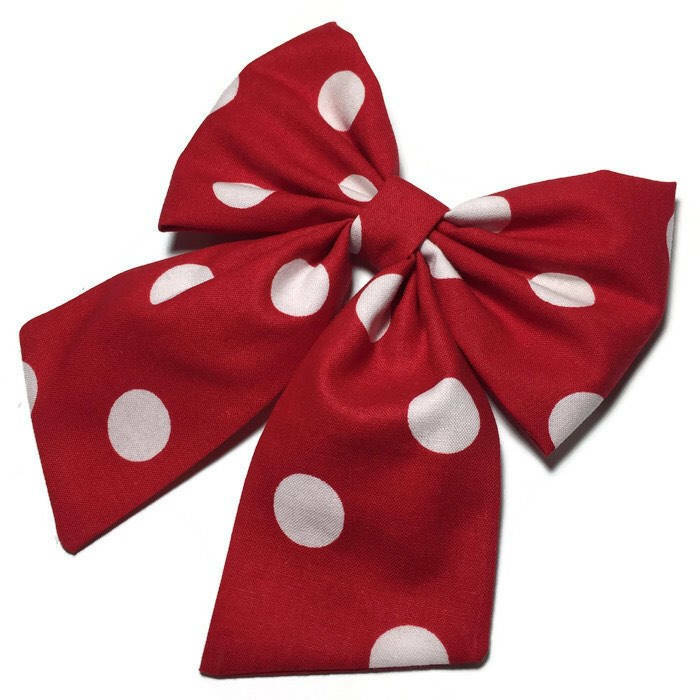 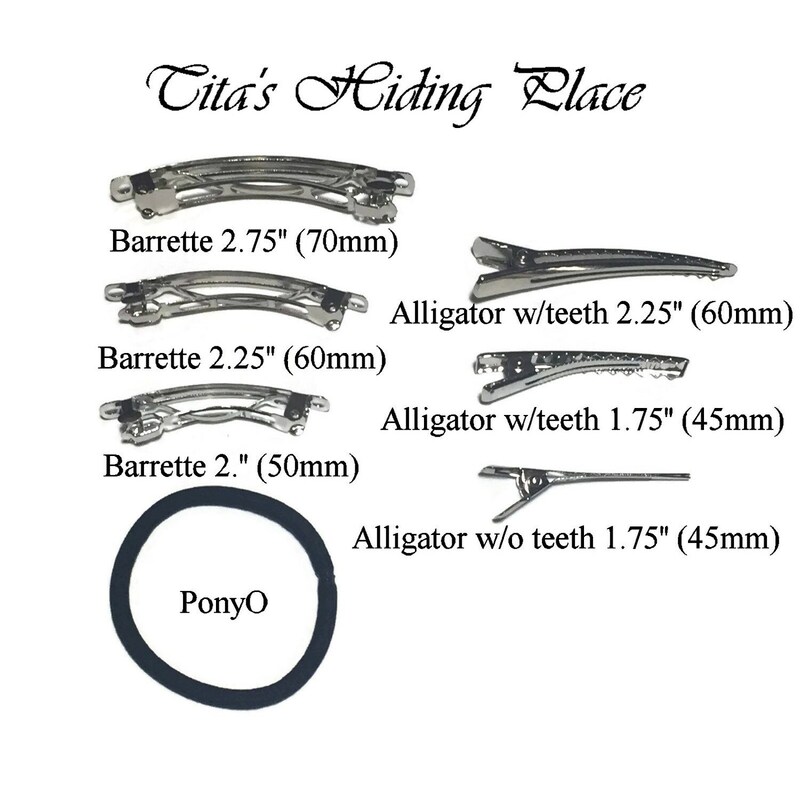 Just perfect - arrived quickly, excellent quality and great price for a large bow. 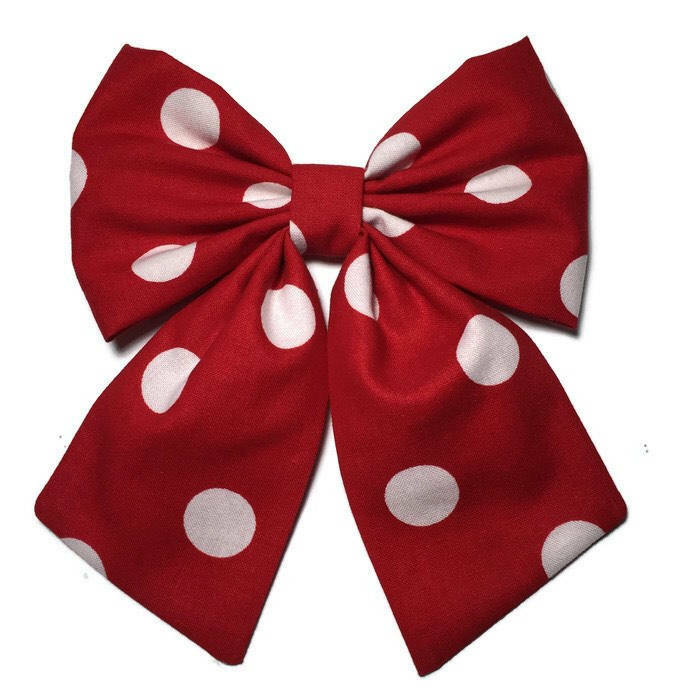 Bought as a present for my friend and she loves it, thank you!